Celebrate in style in this short tight lace party dress by Simply that’s perfect for graduation ceremonies and parties. With a notched neckline, the princess-cut bodice has a lovely structure and secure fit. The backless off-the-shoulder dress beautifully defines the shoulders and accentuates the arms. See-through lace scallops trim the sleeves and extend the hemline of the short skirt. 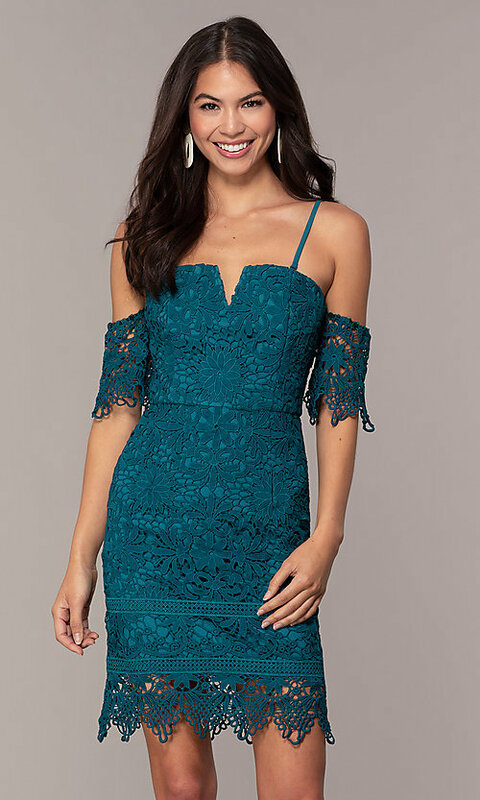 At under $100, this short tight lace party dress is both cute and affordable.